Though Dr. Cullen’s recent practice has emphasized California hydrogeologic issues, he has also led investigations in numerous locations across the United States and has traveled internationally to conduct work in Central and South America, and in Northern and Southern Europe. Over the last 27 years of his career, his interest and focus has been on water resource assessments and on soil, surface water, and groundwater contaminant investigations and remediation. He is the author of more than 75 technical publications on water resources and environmental subsurface modeling, monitoring, and remediation, including the textbook Handbook of Vadose Zone Characterization and Monitoring. He has made numerous invited presentations on hydrogeologic topics to the United Nations, the United States Environmental Protection Agency (U.S. EPA), along with many industry, government, and local stakeholder groups. Dr. Cullen’s experience focuses on watershed studies, watershed monitoring, soil water balances, groundwater balances, and the evaluation of safe yield in adjudicated groundwater basins, and perennial yield in other basins. All of these study areas are essential components in the formulation of credible groundwater sustainability plans. Dr. Cullen also specializes in multiphase contaminant hydrogeology, emphasizing site characterization and remediation. He has more than 33 years of experience providing expert consultation on projects involving evaluation of soil and groundwater impacted by chlorinated solvents, petroleum hydrocarbons, metals, pesticides, perchlorate, PCBs, dioxins and furans and a number of inorganic compounds. He is familiar with and experienced in a number of California hydrogeologic settings. He has worked on numerous complex soil and groundwater contamination sites that impact California, including in the Gibson Superfund site, the North Hollywood Operable Unit of the San Fernando Valley Superfund Site, the Antioch Landfill, the Henderson Nevada Perchlorate Site, and the Brown and Bryant Superfund site. To support clients on a variety of issues, he has reported to and participated in negotiations with the U.S. EPA, the California Department of Toxic Substances Control (DTSC), various Regional Water Quality Control Boards, and testified in front of the State Water Resources Control Board (SWRCB). Dr. Cullen has conducted work to ensure compliance with the National Contingency Plan (NCP), Comprehensive Environmental Response, Compensation, and Liability Act (CERCLA), Resource Conservation and Recovery Act (RCRA), California Environmental Quality Act (CEQA), DTSC Preliminary Endangerment Assessment Guidance, and DTSC’s Vapor Intrusion (VI) Mitigation Guidance. 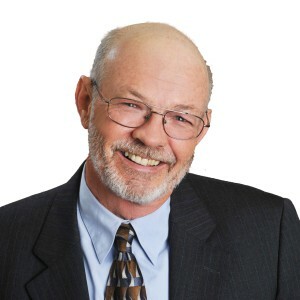 Dr. Cullen has longstanding experience in public speaking, deposition and trial testimony, working with stakeholder and potentially responsible party (PRP) groups, interacting with regulatory agencies, and presenting at public meetings. Dr. Cullen has worked with and represented clients from many economic sectors. He has served on national and state expert panels, and provided expert reports and deposition and courtroom testimony in state and federal legal matters. For example, he provided plaintiff expert testimony in U.S. District Court regarding the fate and transport of a pesticide in a matter defended by the U.S. Department of Justice and a multinational chemical company. Cullen, Stephen J., 2017. SGMA: Challenges of Sustainably Managing Groundwater, Session Organizer and Moderator, Association of Ground Water Agencies and American Ground Water Trust Annual Conference, Radisson Hotel, Ontario, California, February 15-16, 2017. Schnaar, G., J. Dodge and S.J. Cullen, 2016 (invited paper). Comprehensive groundwater balance development to characterize selenium loading to surface water channels in Orange County, California. Journal of Contemporary Research and Education, Issue 159 p.5-23. Cullen, S.J., G. Schnaar, and M. Cruikshank, 2016. Groundwater Planning and Estimating Safe Yield in California under the Sustainable Groundwater Management Act. Hydrology and the Law, Law Seminars International, Santa Monica, CA, September 16, 2016. Dodge, J.J., G. Schnaar, and S.J. Cullen, 2015. Selenium Loading from Groundwater to Newport Bay, Orange County, California. Presentation at the Geological Society of America 2015 Annual Meeting, Baltimore, Maryland. November 1, 2015. Umstot, T., Schnaar, G., Blandford T.N., Cullen, S., Kaiser, P., Ayarbe, J., 2015. Recharge estimates from a soil water-balance model improve groundwater model calibration. Presentation at the MODFLOW and More 2015: Modeling a Complex World conference. May 31 – June 3, 2015. Golden, Colorado. Cullen, Stephen J, J. Kelsey, and J. Kay, 2014. Vadose Zone Flow and Transport – Principles and Practices in Mining Applications, a workshop presented at Golder Geotechnical Laboratory, Lima, Peru, November 17, 2014. Cullen, Stephen J, J. Kelsey, and J. Kay, 2014. Vadose Zone Flow and Transport – Principles and Practices in Agricultural Applications, a workshop presented at SGS Academy, Centro de Formación, Lima, Peru, November 14, 2014. Cullen, Stephen J., 2014. Participant in technical roundtable “Critical Technical Issues Lawyers Should Know Regarding Vapor Intrusion Claims”. American Bar Association Section of Environment, Energy, and Resources’ 22nd Annual Fall Conference, Miami, Florida, October 10, 2014. Cullen, Stephen J., Dodge, J., Peng, J. 2014. Drainage Channels Remobilize Selenium, Swamp of the Frogs, Newport Bay Watershed, Orange County, California. Groundwater Resources Association of California, Groundwater Issues and Water Management, Strategies Addressing Challenges of Sustainability and Drought in California, Sacramento, California. March 4 – 5, 2014. Cullen, Stephen J., Kay, J., Chianello, A.R., Pearce, C.L. 2014. Hydrologic Effects of the Kern River Flow and Municipal Water Program. Groundwater Resources Association of California and the United States Committee on Irrigation and Drainage Groundwater Issues and Water Management—Strategies Addressing the Challenges of Sustainability in California. Sacramento, California. March 4 – 5, 2014. Cullen, Stephen J., 2013. Comprehensive Assessment of Multiple-sourced Chlorinated Solvent Vapor Intrusion Risk to Multiple Residential Dwellings, Utility Solid Waste Activities Group (USWAG), Remediation and Response Committee, Technical Symposium, Edison Electric Institute, Washington, DC, April 23, 2013. Molina, April, G. Schnaar, P. Kaiser, and Stephen J. Cullen, 2012. Preparing Geospatial Data for Use in Watershed and Groundwater Models. ESRI, Southwest Users Group, Albuquerque, New Mexico, October 8-11, 2012. Kaiser, Phil, T. Umstot, G. Schnaar, Stephen J. Cullen, 2012. The Distributed Parameter Watershed Model for Predicting Recharge in Southern California. Groundwater Resources Association of California, 21st Annual Meeting and Conference, “California Groundwater: Data, Planning and Opportunities” October 4-5, 2012, Rohnert Park, California. Dodge, J.J., G. Schnaar, S.J. Cullen, and J. Peng. 2012. Water Balance Development to Characterize Selenium Flux, Newport Bay Watershed, Orange County, California . Groundwater Resources Association of California – Salt and Nitrate in Groundwater: Finding Solutions for a Widespread Problem, June 13-14, Fresno, CA. Dodge, John J., Stephen J. Cullen, and Ranajit Sahu, 2011. Evaluation of Hydrogeologic Zone Connectivity Using Radioactive and Stable Isotopes, Henderson, NV. Groundwater Resources Association of California (GRAC) Symposium on Environmental Forensics in an Era of Emerging Diagnostic Methods , Irvine, California, April 12, 2011. Cullen, Stephen J. and John Kay, 2011. The Vadose Zone: Recharge and Water Quality Improvement Opportunities. Invited presentation to the American Groundwater Trust, February 8, 2011, Annual Conference on Water Resources Issues in Southern California: Recharge Dilemmas for Water Managers, Ontario, California. Booth, Derek B., Stephen J. Cullen, and John Kay, 2011. Stream Restoration, Groundwater Use, and Flow Maintenance: Water Management Dilemmas. Invited presentation to the American Groundwater Trust, February 8, 2011, Annual Conference on Water Resources Issues in Southern California: Recharge Dilemmas for Water Managers, Ontario, California. Stephens, D.B., S.J. Moore, S.J. Cullen, A. Standen, and L. Jong. 2010. Augmenting groundwater supplies using rain water harvesting. Presentation at the National Ground Water Association Ground Water Summit and Ground Water Protection Council Meeting. April 11-15, 2010, Denver, Colorado. Schnaar, Gregory, and S. Cullen, 2009. The Hydrology of Geologic Sequestration. Southwest Hydrology, Vol. 8, No. 5, September/October 2009. Stephens, D.B., S. Moore, and S. Cullen, 2009. Artificial Recharge Using Water Harvesting and Dug Wells. Presentation to Ground Water for the Americas Conference, National Groundwater Association, Panama City, Panama, June 8 to 10, 2009. Kear, J., F. Manghi, S.J. Cullen, P.M. Kaiser, 2009. Quantification of Nitrogen Removal under Recycled Water Recharge Ponds. Invited presentation to California 09 Section Conference of the WaterReuse Association, March 22-24, 2009, Intercontinental Mark Hopkins Hotel, San Francisco, California. Cullen, S. J., Todd G. Umstot, and Daniel B. Stephens, 2009. Parameter Estimation or Measurement for Vapor Transport Modeling? Invited presentation to The 19th Annual AEHS Meeting and West Coast Conference on Soils, Sediments, and Water, March 9-12, 2009 Mission Valley Marriott, San Diego, California. Cullen, S.J., J. Kelsey, N. Blandford, D. Reaber, 2007. Principal Workshop Developer and Instructor, Vadose Zone Hydrology: Principles and Practices, two day workshop co-sponsored by Wyoming Department of Environmental Quality, Sheridan, Wyoming, October 25-26, 2007. Sahu, R., Cullen, S.J., M. Jones, D. Reaber, 2007. Development of a Conceptual Site Model of Chemical Migration in Groundwater Adjacent to the Las Vegas Wash, Bringing Water To The Desert, Spring Conference, American Water Works Association, April 19, 2007, Las Vegas, Nevada. Cullen, S.J., R. Sahu, M. Jones, D. Reaber, 2006. Invited speaker, An Investigation of Perchlorate Impacts to Groundwater in the Las Vegas Vicinity, 2006 Water Quality / Regulatory Conference, East Valley Water District, October 26, 2006, Ontario, California. Sahu, R., S. Cullen, and M. Jones. 2005. An Update on Remedial Investigations of the BMI Site Common Areas Properties, Henderson, Nevada, presented to the BMI and Vicinity – All Companies Meeting, May 24, 2005, Henderson, Nevada. Cullen, S.J. 2005. Invited speaker, Theory and Application of Vadose Zone Instrumentation, The Santa Barbara Groundwater and Vadose Zone Instrumentation Workshop, Soilmoisture Equipment Corp., May 17, 2005, Goleta, California. Cullen, S.J. 2005. Invited speaker, Commercial Applications of Laboratory and Field Groundwater and Vadose Zone Instrumentation, The Santa Barbara Groundwater and Vadose Zone Instrumentation Workshop, Soilmoisture Equipment Corp., May 17, 2005, Goleta, California. Cullen, S.J. 2005. Invited speaker, Theory and Application of the Guelph Permeameter, The Santa Barbara Groundwater and Vadose Zone Instrumentation Workshop, Soilmoisture Equipment Corp., May 17, 2005, Goleta, California. Cullen, S.J. 2005. Invited speaker, The Importance of Environmental Protection of Soil and Groundwater Worldwide, The Santa Barbara Groundwater and Vadose Zone Instrumentation Workshop, Soilmoisture Equipment Corp., May 16, 2005, Goleta, California. Cullen, S.J., W. Allmon, and T. Battey. 2005. An Evaluation of Baseline Recharge Conditions at a Perchlorate-Impacted Site in an Arid Environment, a technical poster presentation to the California Groundwater Resources Association meeting, “Artificial Recharge: Nexus of Quantity and Quality in California”, March 16-17, 2005, Sacramento, California. Cullen, S.J. 2004. Fate and Transport of Perchlorate in the Subsurface. Invited presentation to the American Chemical Society, Annual Meeting, March 31, 2004, Anaheim, California. Cullen, S.J. 2002. Dry Cleaners: Characterizing and Remediating Multiple Sources of PCE in a Complex Hydrogeologic and Legal Environment. Invited presentation to Entech West 2002, November 12, 2002, Long Beach, California. Cullen, S.J. and M. Lupo, 2001. Soil Bioventilation and Modeling of Air Flow. In American Microbiological Society (eds. ), Manual of Environmental Microbiology, 2nd Edition, American Microbiological Society Press, Washington, D.C.
McNab, W.W., Jr., B.P. Dooher, D.W. Rice, S.J. Cullen, L.G. Everett, M.C. Kavanaugh, W.E. Kastenburg, M.C. Small, and P.C. Johnson. 1998. Risk-Based Assessment of Appropriate Fuel Hydrocarbon Cleanup Strategies for the Base Exchange Service Station at Vandenberg Air Force Base, California. Report submitted to the Air Force Center for Environmental Excellence, Environmental Restoration Directorate, Technology Transfer Division, Brooks Air Force Base, Texas. Lawrence Livermore National Laboratory, Livermore, CA. Everett, L.G., S.J. Cullen, D.W. Rice, W.W. McNab, Jr., B.P. Dooher, M.C. Kavanaugh, P.C. Johnson, W.E. Kastenberg, and M.C. Small. 1998. Risk-Based Assessment of Appropriate Fuel Hydrocarbon Cleanup Strategies for the Naval Exchange Gasoline Station, Naval Construction Battalion Center, Port Hueneme, California. Submitted to the Naval Facilities Engineering Services Center, Port Hueneme, CA. Lawrence Livermore National Laboratory, Livermore, CA. Kavanaugh, M.C., D.W. Rice, W.W. McNab, Jr., M.C. Small, S.J. Cullen, P.C. Johnson, L.G. Everett, and W.E. Kastenburg. 1998. Risk Based Assessment of Appropriate Fuel Hydrocarbon Cleanup Strategies for Site 390, Marine Corps Air Station (MCAS), El Toro, California. Report submitted to the U.S. Navy, Southwest Division, Naval Facilities Engineering Command, San Diego, CA. Lawrence Livermore National Laboratory, Livermore, CA. Small, M.C., W.W. McNab, Jr., D.W. Rice, S.J. Cullen, L.G. Everett, M.C. Kavanaugh, W.E. Kastenburg, and P.C. Johnson. 1998. Risk-Based Assessment of Appropriate Fuel Hydrocarbon Cleanup Strategies for Presidio at San Francisco, Building 637 Area. Report submitted to the U.S. Army Corps of Engineers, Sacramento District, Sacramento, California. Lawrence Livermore National Laboratory, Livermore, CA. Kavanaugh, M.C., W.W. McNab, Jr., D.W. Rice, P.C. Johnson, M.C. Small, W.E. Kastenburg, L.G. Everett, and S.J. Cullen. 1998. Risk-Based of Appropriate Fuel Hydrocarbon Cleanup Strategies for China Lake Naval Air Weapons Station Navy Exchange Gas Station Site. Report submitted to the U.S. Navy, Southwest Division Naval Facilities Engineering Command, San Diego, California. Lawrence Livermore National Laboratory, Livermore, CA. Springer, D.S., H. Loaiciga, S.J. Cullen, and L. Everett, 1998. Air Permeability of Porous Materials Under Controlled Laboratory Conditions, Groundwater , vol. 36, No. 4, pp 545-704. McNab, W.W., Jr., B.P. Dooher, D.W. Rice, M.C. Kavanaugh, P.C. Johnson, S.J. Cullen, L.G. Everett, W.E. Kastenberg, and M.C. Small. 1997. Assessment of Appropriate Fuel Hydrocarbon Risk-Management Strategies for George Air Force Base, Victorville, California, Using a Risk-Based Approach. Report submitted to the Air Force Center for Environmental Excellence, Environmental Restoration Directorate, Technology Transfer Division, Brooks Air Force Base, Texas. Lawrence Livermore National Laboratory, Livermore, CA. McNab, W.W., Jr., D.W. Rice, S.J. Cullen, L.G. Everett, P.C. Johnson, W.E. Kastenberg, M.C. Kavanaugh, M.C. Small, and T.M. Carlsen. 1998. Risk-Based Assessment of Appropriate Fuel Hydrocarbon Cleanup Strategies for Area 43 MWR Gas Station, Marine Corp Base, Camp Pendleton, California. Report submitted to the U.S. Navy, Southwest Division, Navy Facilities Engineering Command, San Diego, CA. Lawrence Livermore National Laboratory, Livermore, CA. McNab, W.W., B.P. Dooher, D.W. Rice, M.C. Kavanaugh, S.J. Cullen, L.G. Everett, W.E. Kastenberg, M.C. Small, and P.C. Johnson. 1997. Draft Final Assessment of Appropriate Fuel Hydrocarbon Cleanup Strategies for Travis Air Force Base, Fairfield, California, Using a Risk-Based Approach. Report submitted top the Air Force Center for Environmental Excellence, Environmental Restoration Directorate, Technology Transfer Division, Brooks Air Force Base, Texas. Lawrence Livermore National Laboratory, Livermore, CA. Cullen, S.J., L.G. Everett, W.W. McNab, Jr., D.W. Rice, B.P. Dooher, M.C. Kavanaugh, W.E. Kastenburg, M.C. Small, and P.C. Johnson, 1997. Expert Committee Evaluation of Site Characterization Adequacy for the Base Exchange Service Station Site at Vandenberg Air Force Base. Cullen, S.J., and J.C. Michaelsen, 1997. Factors affecting the Occurrence and Distribution of Selected Petroleum Hydrocarbon Compounds in California’s Alluvial Aquifers (in review). Rice, D.W., B.P. Dooher, S.J. Cullen, L.G. Everett, W.E. Kastenberg, and R.C. Ragaini, 1997. Response To U.S. EPA Comments on the LLNL/UC LUFT Cleanup Recommendations and California Historical Case Analysis. Submitted to the California State Water Resources Control Board and the United States Environmental Protection Agency Underground Storage Tank Program. McNab, W.W., Jr., D.W. Rice, B.P. Dooher, M.C. Kavanaugh, P.C. Johnson, S.J. Cullen, L.G. Everett, W.E. Kastenburg, and M.C. Small, 1997. Assessment of Appropriate Fuel Hydrocarbon Cleanup Strategies for George Air Force Base, Victorville, California Using a Risk Based Approach. Submitted to the Air Force Center for Environmental Excellence, Environmental Restoration Directorate, Technology Transfer Division, Brooks Air Force Base, Texas. Keller, B.R. S.J. Cullen, and D.S. Springer. Multiple Source Groundwater Plume in Fault-Controlled Hydrologeologic Regime, Santa Barbara, California. American Geophysical Union 1996 fall meeting. December 1996. San Francisco, CA. Kramer, J.H., and S.J. Cullen, 1996. Soil Bioventilation and Modeling Of Air Flow. In American Microbiological Society (eds. ), Manual of Environmental Microbiology. American Microbiological Society Press, Washington, D.C.
Cullen, S.J., J.C. Michaelsen, D.W. Rice, B.P. Dooher, L.G. Everett, W.E. Kastenberg, R.D. Grose, and M.A. Marino, 1996. Overview of California’s Leaking Underground Fuel Tank (LUFT) Cleanup Process. In Proceedings of the 1st International Conference on The Impact of Industry on Groundwater, Water Resources and the Environment, Priority of the Third Millennium, May 22-24, 1996, Cernobbio, Italy. Rice, D.W., B.P. Dooher, S.J. Cullen, L.G. Everett, W.E. Kastenberg, R.D. Grose, and M.A. Marino, 1995. Recommendations To Improve The Cleanup Process for California’s Leaking Underground Fuel Tanks (LUFTs). Report submitted to the California State Water Resources Control Board and the Senate Bill 1764 Leaking Underground Fuel Tank Advisory Committee, 20 pp. with references. Rice, D.W., R.D. Grose, J.C. Michaelsen, B.P. Dooher, D.H. MacQueen, S.J. Cullen, W.E. Kastenberg, L.G. Everett, and M.A. Marino, 1995. California Leaking Underground Fuel Tank (LUFT) Historical Case Analyses. Report submitted to the California State Water Resources Control Board and the Senate Bill 1764 Leaking Underground Fuel Tank Advisory Committee, 20 pp. with references. Cullen, S.J., J.H. Kramer, and J.R. Luellen, 1995. A Systematic Approach to Designing a Multiphase Unsaturated Zone Monitoring Network. Groundwater Monitoring and Remediation, vol. 15, no. 3, pp. 124-135. Cullen, S.J. 1995. Vadose Zone Monitoring: Experiences and Trends in the United States. Groundwater Monitoring and Remediation, vol. 15, no. 3, pp. 136-143. Wilson, L.G., L.G. Everett, and S.J. Cullen (eds.). Handbook of Vadose Zone Characterization and Monitoring, 1995. Lewis Publishers, Chelsea, MI, 730 pp. Cullen, S.J., J.H. Kramer, L.G. Everett, and L.A. Eccles. 1995. “Is Our Groundwater Monitoring Strategy Illogical”? In L.G. Wilson et al. (eds.) Handbook of Vadose Zone Characterization and Monitoring, Lewis Publishers, Chelsea, MI. pp. 1-8. Cullen, S.J. and L.G. Everett. 1995. “Estimating the Storage Capacity of the Vadose Zone”. In L.G. Wilson et al. (eds.) Handbook of Vadose Zone Characterization and Monitoring, Lewis Publishers, Chelsea, MI, pp.159-176. Springer, D.S., S.J. Cullen, and L.G. Everett. 1995. “Laboratory Studies on Air Permeability. In L.G. Wilson et al. (eds.) Handbook of Vadose Zone Characterization and Monitoring, Lewis Publishers, Chelsea, MI, pp. 217-248. Kramer, J.H. and S.J. Cullen. 1995. “Review of Vadose Zone Flow and Transport Models”. In L.G. Wilson et al. (eds.) Handbook of Vadose Zone Characterization and Monitoring, Lewis Publishers, Chelsea, MI, pp. 267-290. Kramer, J.H., S.J. Cullen, and L.G. Everett. 1995. “Vadose Zone Monitoring with the Neutron Moisture Probe”. In L.G. Wilson et al. (eds.) Handbook of Vadose Zone Characterization and Monitoring, Lewis Publishers, Chelsea, MI, pp. 291-310. Dorrance, D.W., L.G. Wilson, L.G. Everett, and S.J. Cullen. 1995. “A Compendium of Soil Samplers for the Vadose Zone”. In L.G. Wilson et al. (eds.) Handbook of Vadose Zone Characterization and Monitoring, Lewis Publishers, Chelsea, MI, pp. 401-428. Wilson, L.G., D.W. Dorrance, L.G. Everett, and S.J. Cullen. 1995. “In Situ Pore Liquid Sampling in the Vadose Zone.” In L.G. Wilson et al. (eds.) Handbook of Vadose Zone Characterization and Monitoring, Lewis Publishers, Chelsea, MI, pp. 477-522. Cullen, S.J., G. Deane, and W. Lick. 1994. “The Diffusion of Tritiated Water Vapor in Unsaturated Soils.” Report to Lawrence Livermore National Laboratory, Environmental Restoration Division. Ogg, R.T., L.G. Everett, and S.J. Cullen. 1994. “Rocky Flats Solar Evaporation Ponds: RCRA Hybrid-Closure Case Study”. In Hazardous Materials Control Resources Institute (eds. ), Proceedings of the Third Federal Environmental Restoration Conference, April 27-29 New Orleans, Louisiana. Cullen, S.J., J.H. Kramer, and R.T. Ogg. 1994. “Vadose Zone Monitoring: Preventing and Mitigating Aquifer Contamination”. In G. Gambolati (ed. ), Proceedings of the International Symposium on Advanced Methods for Groundwater Pollution Control, May, 1994, Udine, Italy. Published by the International Center for Mechanical Sciences, Udine, Italy (in press). Cullen, S.J., J.H. Kramer, and Jon R. Luellen. 1994. “Risk-based approach to the design of a vadose zone monitoring system for a solid waste landfill”. In Proceedings of the 1994 Air and Waste Management Association Annual Session on Integrated Media Corrective Action at Solid Waste and Hazardous Waste Landfills, July, 1994. Kramer, J.H., P.E. Gagnard, and S.J. Cullen. 1993. ” Wick layer-enhanced vadose zone monitoring (Abstract and Poster Presentation). Supplement to EOS Transactions AGU Fall Meeting, December 6-10, 1993, American Geophysical Union, Washington DC, :288. Cullen, S.J., D.P. Imperato, and J.H. Kramer. 1993. Agricultural Utilization of Biosolids at the Gardner Ranch, Santa Ynez Valley, California. Report submitted to the Department of Public Works, City of Santa Barbara, California (9/1/93). Cullen, S.J. 1993. “Vadose Zone Monitoring: Part I. Experiences and Future Trends in the United States.” In (invited paper) Proceedings of the United Nations Scientific Committee on Protecting the Environment, Regional Course and Workshop on Groundwater Contamination, July 26-30, 1993, San Jose, Costa Rica. Cullen, S.J., J.H. Kramer, and J.R. Luellen. 1993. “Vadose Zone Monitoring: Part II. A Systematic Approach to Designing a Multiphase Unsaturated Zone Monitoring Network.” In (invited paper) Proceedings of the United Nations Scientific Committee on Protecting the Environment, Regional Course and Workshop on Groundwater Contamination, July 26-30, 1993, San Jose, Costa Rica. Cullen, S.J., and L.G. Everett. 1993. “Permit Writer’s Guidance Document for Monitoring Unsaturated Regions of the Vadose Zone at RCRA, Subtitle C, Facilities.” Guidance document submitted as a report to the United States Environmental Protection Agency, Environmental Monitoring Systems Laboratory, Las Vegas, NV, April, 1993. Cullen, S.J., B.R. Newton, and W.W. Bewley. 1993. Irrigation and Salinity Management of Turf: Report of Findings and Recommendations. Report submitted to the Facilities Management Department, University of California, Santa Barbara. Cullen, S.J. 1992. “Subsurface Migration and Remediation of Hazardous Waste”, seminar presented to the Dept. of Mechanical and Environmental Engineering, UCSB, Nov., 1992. Cullen, S.J. 1992.”Ground Water Pollution: An International Perspective”, Igor Zektser, L.G. Everett, and Stephen J. Cullen. Journal of European Water Pollution Control. (Vol. 2, No. 6, Nov. 1992). Everett, L.G., S.J. Cullen, and J.H. Kramer. 1992. “Direct and Indirect Pore-Liquid Monitoring in the Vadose Zone.” In Proceedings of the Conference on Field Screening for Environmental Pollutants: Defining User Instrumentation Needs, October 26-27, 1992. Cambridge, MA. Cullen, S.J. 1992.”Vadose Zone Monitoring: Techniques and Instrumentation”. Invited speaker, 2-day workshop, National Outdoor Action Conference, National Ground Water Association, Las Vegas, NV, May, 1992. Cullen, S.J. J.H. Kramer, and L.G. Everett. 1992. “Is Our Ground-Water Monitoring Strategy Illogical?”, invited position paper. Ground Water Monitoring Review, vol. 12. no. 3, Summer, 1992. Kramer, J.H. S.J. Cullen, and L.G. Everett. 1992. “Vadose Zone Monitoring with the Neutron Moisture Probe”, Ground Water Monitoring Review, vol. 12, no. 3, Summer, 1992. Cullen, S.J. and I.S. Zektser. 1992. A Book Review of “A Practical Handbook of Ground-water Monitoring”. Submitted to the Russian National Academy of Sciences quarterly periodical, January, 1992. Cullen, S.J. 1991.”Vadose Zone Monitoring”, a two-hour invited seminar given to the Annual meeting of the California Groundwater Association. Lake Tahoe, Nevada, November 7, 1991. Cullen, S.J. 1991.”Vadose Zone Characterization, Sampling, and Monitoring”, a two-day short course given to personnel at the headquarters of the United States Environmental Protection Agency. October 10-11, 1991. Zektser, I.S., L.G. Everett, S.J. Cullen, and T.H. Robinson. 1991. “A Consolidated Map of Ground-Water Flow, Quality, Storage, and Aquifer Composition for California”. October, 1991. Zektser, I.S., L.G. Everett, S.J. Cullen, and T.H. Robinson. 1991. “A Consolidated Map of Ground-Water Vulnerability and Vadose Zone Characteristics for California.” October, 1991. Cullen, S.J. 1991. “Vadose Zone Monitoring, Sampling, and Remediation Technologies”, a two-day short course given to environmental personnel at Edwards Air Force Base, Lancaster, CA, July 24-25, 1991. Cullen, S.J. 1991. “Vadose Zone Monitoring Concepts Relevant to Geographic Information Systems”, a short-course given to the U.S. Bureau of Reclamation, U.C. Santa Barbara, July 23-26, 1991. Everett, L.G., S.J. Cullen, and L.A. Eccles. 1991. “Passive Remediation Strategies for Petroleum-Contaminated Sites”, In Proceedings of the Hazardous Materials Conference, July 10-12, 1991, Boston, MA. Hazardous Materials Control Research Institute, Greenbelt, MD, 1991. Springer, D.S., S.J. Cullen, and L.G. Everett. 1991. “Determining Air Permeability Under Controlled Soil-Water Conditions.” In Lehr, Jay H. (ed.) Ground Water Management No. 5, the Proceedings of the Fifth National Outdoor Action Conference on Aquifer Restoration, Ground Water Monitoring and Geophysical Methods, May 13-16, 1991. In Ground Water Management No. 5, pp. 119-133. Water Well Journal Publishing Company, Dublin, OH, 43017. Kramer, J.H., L.G. Everett, and S.J. Cullen. 1991. “Innovative Vadose Zone Monitoring at a Landfill Using the Neutron Probe.” In Lehr, Jay H. (ed. ), Ground Water Management No. 5, the Proceedings of the Fifth National Outdoor Action Conference on Aquifer Restoration, Ground Water Monitoring And Geophysical Methods, May 13-16, 1991, pp. 135-149. Water Well Journal Publishing Company, Dublin, OH, 43017. Dorrance, D.W., L.G. Wilson, L.G. Everett, and S.J. Cullen. 1991. “Compendium of In Situ Pore-Liquid Samplers for the Vadose Zone”, In Nash, Ralph G., and A.R. Leslie (eds. ), Ground Water Residue Sampling Design, Chap 19: Compendium of In Situ Pore-Liquid Samplers for Vadose Zone, pp. 300-331. American Chemical Society, Washington, DC, 1991. Cullen, S.J., C. Montagne, and A.H. Ferguson. 1990. “Timber Harvest Trafficking and Soil Compaction in Western Montana”, Soil Science Society of America Journal, Vol. 55, No. 5, pp. 1416-1421, Sept-Oct, 1990. Zachary, S.P., L.G. Everett, and S.J. Cullen. 1991. “Physical Remediation Technologies for Soil and Groundwater: New Approaches to Proven Technologies”, Environmental Technology Exposition and Conference (ETEX), Las Vegas, NV. March 13, 1991 (oral presentation). Everett, L.G. and S.J. Cullen. 1991. “Neutron Probe Logging to Verify Soil Contamination and Passive Bioremediation”, Second Annual West Coast Conference on Hydrocarbon Contaminated Soils and Groundwater: Analysis, Fate, Environmental and Public Health Effects, and Remediation. Newport Beach, CA, March 6, 1991 (oral presentation). Everett, L. and S.J. Cullen. 1991. “Vadose Zone Hydrogeology: Principles, Monitoring, and Remediation”, 3 day workshop (oral presentation) given at Vandenberg Air Force Base, Lompoc, CA, January 16-17, 1991. Everett, L., S.J. Cullen, R. Fessler, D. Dorrance, and L. Wilson. 1990. “Criteria for Selecting Monitoring Devices and Indicator Parameters for Direct Pore-Liquid Sampling of Petroleum Hydrocarbon Contaminated Sites”, Report submitted to Office of Research and Development, United States Environmental Protection Agency, December, 1990. Cullen, S.J. 1990. “Green-Ampt Infiltration Modeling Applied to the Landfill Siting and Development Process.” Invited presentation (oral) to the Annual Meeting of the Association of Engineering Geologists, Pittsburgh, PA, September, 1990. Cullen, S.J. and J. Kramer. 1990. “Hydrogeologic Soil Properties of the Vadose Zone.” California State Water Resources Control Board Underground Storage Tank (UST) Conference, Sacramento, CA, September, 1990 (oral presentation). Kramer, J. and S.J. Cullen. 1990. “Instruments Appropriate for Monitoring USTs.” California State Water Resources Control Board Underground Storage Tank (UST) Conference, Sacramento, CA, September, 1990 (oral presentation). Kramer, J. and S.J. Cullen. 1990. “Underground Storage Tank Leak Detection: External Instrument Options.” Report to the United States Environmental Protection Agency, submitted July 31, 1990. Cullen, S.J. and J. Kramer. 1990. “Hydrogeologic Considerations Relevant to Monitoring Underground Storage Tanks in the Vadose Zone.” Report to the United States Environmental Protection Agency, submitted July 31, 1990. Cullen, S.J. 1990. “Design, Construction, and Operation of A Vapor Extraction System at a Central California Petroleum Refinery Site.” Preliminary report to Texaco Refining and Marketing Incorporated, May, 1990. Cullen, S.J. 1990. “Prediction of Wetting Front Travel Times for Landfill Siting and Development.” Report to the Spokane Regional Solid Waste Disposal Project, April 1990. Dorrance, D.W., L.G. Everett, L.G. Wilson, and S.J. Cullen. 1989. “A Compendium of Soil Sampling Devices for the Vadose Zone.” Submitted to Ground Water Monitoring Review, September 1989. Cullen, S.J. 1989. “Standard Test Method for the Determination of a Soil Water Retention Curve by Pressure Plate Extraction”, ASTM D2325, May, 1989. Cullen, S.J. 1989. “Standard Test Method for the Determination of Soil Water Retention Curve by Pressure Membrane Extraction.” ASTM D3152, May, 1989. Cullen, S.J. 1988. Operating Manual, Model 6000 Time Domain Reflectometers, Soilmoisture Equipment Corp., 1988. Cullen, S.J. 1988. Operating Manual, Model 5300 Tensiometric Vacuum Transducer, Soilmoisture Equipment Corp., 1988. Cullen, S.J. 987. Operating Manual, Guelph Permeameter, Soilmoisture Equipment Corp., 1987. Cullen, S.J. (confidential). 1985. “Report On The Inventory And Evaluation Of The Resources Of The Ranch Property of Santa Cruz, Inc.”, West Sonoma County, California, March 1985. Cullen, S.J. and J. Bauder. 1981. “Observed Variations In Crop Quality Of Irrigated Spring Grains In The Fairfield Irrigation District”, Montana State Cooperative Extension Annual Report, August, 1981. Cullen, S.J. 1981. “Application Of Water And Energy Conserving Techniques To Irrigation Management In The Fairfield Irrigation District”, Montana State Cooperative Extension Annual Report, August, 1981. Cullen, S.J. 1981. “Final Report To The US Forest Service On Soil Compaction In Western Montana”, USFS, Region 1, Missoula, Montana, January, 1981. Cullen, S.J. 1981. “The Characterization And Compaction Of Forest Soils Forming In Three Parent Materials In Western Montana”. Master Thesis, Montana State University, 243 pages, March 1981. Cullen, S.J. 1979. “The Soils Of NE Chichagof And Baranof Islands”, Tongass National Forest In-Service Report, Southeast Alaska, February 1979. Cullen, S.J. 1977. “Molalla Watershed Resource Survey”, US Bureau of Land Management In-Service Report, Salem District, Oregon, November 1977. Daniel B. Stephens & Associates, Inc.